Practicing good oral hygiene, along with regular checkups, is essential for maintaining good health. Your child's teeth and gums impact the health of the entire body. If your child does not take care of them, he or she can get sick more often and increase the risk for diseases. Things like cavities, gum disease and tooth decay can cause incredible pain that makes it difficult to enjoy life. Consuming various types of food for dinner can become increasingly painful for a child with one of these ailments. At Memorial Pediatric Dentistry, we understand the importance of maintaining good oral health and provide general dentistry care to help our patients live life to the fullest. Taking simple steps like getting teeth cleaned regularly, fixing cavities and having regular dental examinations can prevent dental health problems. David Tang, DDS, along with our highly trained staff, provides preventative care and general dentistry services for patients of all ages. 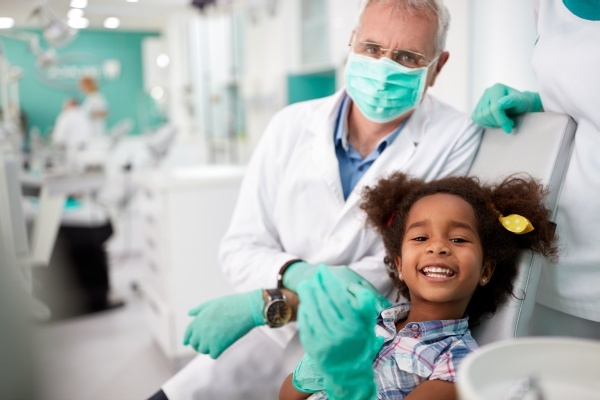 Whether a child is getting their teeth cleaned for the first time, suffering from tooth sensitivity, or needing a major dental procedure, the highly trained staff at Memorial Pediatric Dentistry, will provide the proper dental care. We work with patients throughout the local area to provide ongoing and preventative oral health care. David Tang, DDS focuses on ensuring that patients are comfortable during every procedure. The staff at Memorial Pediatric Dentistry, is highly trained, working with David Tang, DDS, to keep our patient's teeth and gums in good health. By focusing on preventative care, we can help our patients live a full life. After all, a major tooth infection can create oral pain and make it difficult to enjoy even the most basic of normal activities such as eating a favorite piece of pie or playing a game of softball. If you do not currently have a dentist for your child, call (281) 858-2135 to schedule an appointment and experience how our general dentistry services can keep your family in good oral health. David Tang, DDS, believes in the importance of painless dentistry. Understanding that millions of adults suffer from some form of dental anxiety, David Tang, DDS looks for ways to treat patients without causing any oral pain. Whether your child has anxiety that needs to be addressed or is worried about feeling uncomfortable, the team at Memorial Pediatric Dentistry, is trained to keep patients comfortable; no matter what type of dental procedure is being performed. This has earned us a reputation with patients, throughout Houston, as a dental office that can be trusted for providing high-quality and pain-free oral health care. Many people are unsure about the services that a general dentist provides. While the term "general" is often used to describe people that provide only the basics, the same cannot be said about our dental office. David Tang, DDS, and the staff at Memorial Pediatric Dentistry, provide a wide variety of services for patients throughout the local area. We start with preventative care through education, teeth cleanings and dental exams. We work to keep our patients' mouth healthy and in good condition. This is important because, without preventative health care and regular teeth cleanings, infections can develop and spread. If an infection is allowed to spread, it can cause bone loss in the teeth and jawbone. With children at risk for infection, preventative health care is a necessity. Additionally, David Tang, DDS, focuses on restorative dentistry. This form of dentistry restores the damaged tooth to a natural appearance, which makes it possible to eat, speak and behave normally.This is incredibly important for children that injure their teeth every year while playing sports, playing with friends or injuring their teeth at school. By focusing on restorations, David Tang, DDS, and the staff at Memorial Pediatric Dentistry, make it possible for patients throughout the Houston area to keep their natural teeth for as long as possible. If a patient loses a tooth, David Tang, DDS, can replace it using a variety of modern dental procedures. There are multiple options for replacing a tooth, and we can accommodate a variety of patient requests in our general dentistry office. This makes it possible for children to maintain the functionality that can only come from having a full set of teeth. To learn more about what options are available for restoring or replacing your child's teeth, call 281-858-2135 to schedule an appointment. David Tang, DDS, will conduct a thorough exam. Along with the exam, he will also make recommendations for what can be done to restore the full functionality and appearance of your child's smile. Parents throughout TX trust David Tang, DDS, to take care of their child's dentistry needs, because of our commitment to excellence and dedication to our patients. David Tang, DDS, will do everything in his power to help keep your child's teeth healthy. 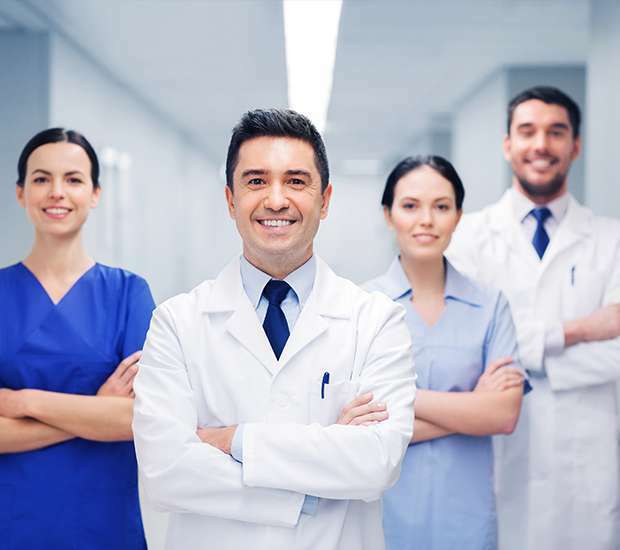 If there are any additional procedures that need to be performed outside of our office's expertise, we will refer you to an oral surgeon or other provider that we collaborate with on a regular basis. Our goal is to keep our patients in the best possible health so that when their health requires collaboration with other Houston health care providers, we will bring them into the conversation. For the most part, any type of dental care that you need can be completed in our local office. Patients from throughout Texas, visit our office because they know we can keep their teeth and gums healthy. If you are located in the local area, visit David Tang, DDS, at Memorial Pediatric Dentistry, to discuss your child's smile. David Tang, DDS works with patients to create a beautiful smile that they can be proud of. Our general dentistry office has the solutions patients need for transforming their smile into something that is straight, bright, white and beautiful. Regardless of why your child does not like his or her smile, David Tang, DDS, can help by fixing any cosmetic or health issues; creating something beautiful and natural. To learn more, call (281) 858-2135 to schedule an appointment.